If you are thinking on the same line and interested in learning JVM internals, memory management, GC and Performance tuning this year then you have come to the right place. In the past, I have shared some of the books and articles to learn about JVM internals and Garbage collection and today, I'll share some of the online courses you can join to learn JVM internals and performance tuning. 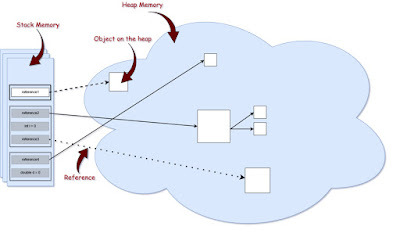 There are actually not many courses out there to learn JVM internals and Garbage collection algorithms in details, but luckily there is one series in Pluarlasight which explores JVM internals in good details covering ClassLoading, Memory Management, and Security. That's where I have learned some useful information and continue to go whenever I need to refresh my knowledge. Along with that, there are a couple of nice courses on Udemy as well which teaches you JVM internals and memory management. If you are serious about taking your Java skills to next level, I strongly suggest you learn more about JVM internals, it's one topic which can separate an experienced Java developer to a Java developer with some years of experience. As I have said, there are not many good courses to learn about JVM internals, memory management and Garbage collection tuning online. These are somewhat considered the advanced topic and many Java developer just doesn't bother to learn about them. But things are changing as performance is becoming really important and senior Java developer are expected to know more about JVM than they currently do. This is an awesome course for Java professionals, particularly experienced Java developers, who need an in-depth understanding of how memory works in Java. In this course, you'll learn about how JVM memory is divided into different areas like a heap, stack, metaspace, etc. 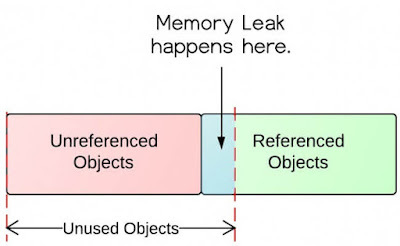 You will also learn about what kinds of memory leaks are possible in Java, and how to avoid them. In addition, you'll learn about tools which can be used to analyze the performance of your applications and detect inefficient memory usages, such as objects which are taking up too much memory, or problems causing inefficient garbage collection. The best part of the course is that you will not just learn about how to find these problems but also some real-world tips to solve those issues in your Java Application. In short, a great course to learn about JVM memory, garbage collection, tuning the VM, and avoiding memory leaks in Java and highly recommend it to all Java Programmers. This is another good course to learn about JVM internals like Class Loading, Reflection, Garbage Collection, Heap, Stack, and Bytecode Instruction Set. In this course, instructor Dheeru Mundluru has demonstrated his extensive knowledge of JVM and what a Java developer should know about JVM. The first provides a brief overview of JVM along with some history and then moves on to more useful stuff like Reflection, JVM memory, Garbage collection, etc. The course is neither too long nor too short for the topic. Within 4 hours you will some key things about JVM and walk out with a solid understanding of Garbage Collection and its Algorithms. 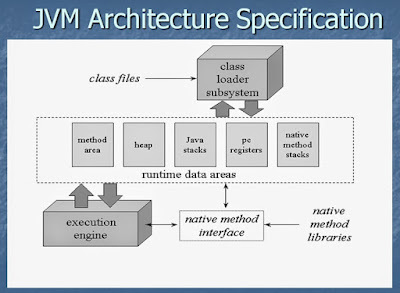 Pluralsight has an amazing series on JVM, known as "Understanding the Java Virtual Machine" by Kevin Jones. It's a three-part series where each part covers key JVM concepts like Memory Management, Class loading and Reflection, and Security. This course is the first part of the series and covers all aspects of Garbage collection in Java, including how memory is split into generations and managed. and how the different Garbage Collectors like Concurrent Mark Sweep and G1 Garbage Collector do their job. The course also covers some advanced concepts which allow you to interact with the garbage collection, like Soft Reference, Weak reference, and Phantom Reference classes. This is the third part of the series "Understanding the Java Virtual Machine" on Pluralsight and it's focused around Security. If you remember, Java security is built around the idea of permissions and policy. Java Code is granted permissions based on the currently in-force policy. In this course, you will learn how the security manager and access controller work hand-in-hand to provide this security. The course also covers how to set a security manager and how to set up and edit a policy file to grant the levels of permissions that code needs. Finally, we cover the idea of 'privileged scope' which allows code to be granted some permission even when code around them should cause the grant to fail. Overall a comprehensive course to learn JVM Security in-depth and must for any Senior Java developers who want to master JVM internals. 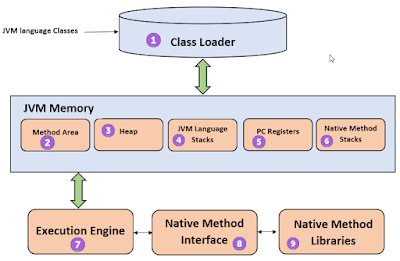 This is the second part of the series, "Understanding the Java Virtual Machine" and it's focused on Class loading and Reflection. Though it's not required to go through this course on any order, you can just choose the topic you want to learn first and then explore further. In this course, you will learn about how class loading mechanism work and how to write class loaders. Once you understand this concept you can understand how things like hot deployment of classes in Java application and how the side-by-side loading of classes work. You will also learn about how class loaders work in Java. Another topic which is covered by this course is Reflection, another tool which helps you to interact with JVM. Java has a rich type system and rich metadata. Reflection is the mechanism by which you can examine that metadata at runtime, and use that information to build rich applications like tools, IDEs like Eclipse and IntelliJIDEA, etc. That's all about some of the best courses to learn JVM internals, Garbage Collection, and Memory management. You will also learn how to hunt memory leaks and fix them in Java application in Java. As I have said in the past then there are not many good courses to learn JVM internals and Garbage collection but these are the best I have got so far. You can also combine these courses with books like Java Performance The Definitive Guide to get the best of both worlds. Thanks for reading this article so far. If you like this JVM internals and Memory management courses in Java then please share with your friends and colleagues. If you have any questions or feedback then please drop a note. P.S. - If you like to read books, you can also checkout this list of books to learn JVM and Garbage collection better. The list contains some of the best books on the topic of JVM internals and performance tuning.